Cantilever Racking is designed to allow for instant access to one piece or a full load and can be adapted for light to heavy loads. Adjustable cantilever load bearing arms extend from vertical columns and is easy to assemble. 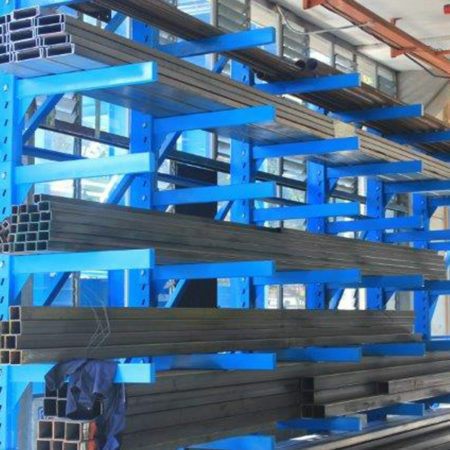 Modular construction for any type of commodity and a practically unlimited load range applications include storage for piping, steel bars, timber sections, roof cladding, furniture, extrusions and even vertical coils. Goods can be accessed by forklift or reach trucks.